One of the most popular players in the UK, Stephen ‘stevie444’ Chidwick, returned from an online poker hiatus to launch himself past the $5 million lifetime earning mark. Chidwick, currently #2 on England’s All-Time Money list, according to Hendon Mob, took sixth in a $5,000 PokerStars High Roller for over $48,000. Prior to that, Chidwick had not recorded an online cash since September. Nowadays, Chidwick only jumps online to play when the largest series and tournaments are taking place. Otherwise, the high-stakes regular spends his time crushing live events as he is currently ranked #3 on the Global Poker Index. This past December he surpassed $10,000,000 in total live earnings and Chidwick’s 2017 included 10 six-figure live cashes. Two more online poker mainstays surpassed the $3 million lifetime marker this week. Ireland’s ‘NukeTheFish’ and Lithuania #4-ranked grinder ‘bagoch’ both earned enough to reach the new milestone. ‘NukeTheFish’ got the job done when he finished in 65th place in a $1,000 PokerStars No Limit Hold’em tournament for $3,033 on January 2. Just one day prior, he put himself in position to hit the $3 million mark when he scored a victory in a $100 PokerStars tournament for $7,283. ‘bagoch’, one of Lithuania’s top professionals, absolutely destroyed the milemarker when he earned $95,253 for a runner-up finish in a $1,000 PokerStars tournament on January 2. 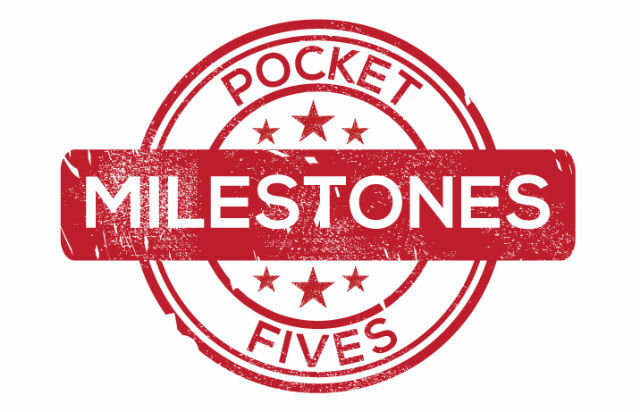 Other notable million dollar milestones include Sweden’s ‘Discoovery’ who passed the $2 million mark and Germany’s ‘DaCus3’ who has now earned a million dollars in his over 10-year career. The UK’s Ben ‘DoobieFish’ Kett completed the first Triple Crown of 2018 on January 2 after besting 771 runners in a $25 PokerStars No Limit Hold’em tournament for $3,344. He combined that victory with his wins in the partypoker Counterpunch for $2,750 and the 888poker $20,000 Christmas Special for $6,192, to not only complete the trifecta but climb to over $800,000 in total lifetime career earnings. It’s the first Triple Crown for the longtime grinder who, in the month leading up to his three victories, recorded roughly ninety-five cashes for a total of over $35,000. Kett currently sits ranked #872 Worldwide, and in the top 100 of players in the UK. Should he continue to rack up PLB points like he did when earning his Triple Crown, he could make a run at a career-high ranking in the new year. 2017 World Series of Poker Main Event seventh place finisher, Damian ‘pampa27’ Salas has himself a monster week at the online tables earning enough PLB points to not only breach the Worldwide top 100, but to debut at #52. The massive leap is all thanks to his first-place finish in the $5,000 PokerStars High Roller, the same one Steven Chidwick cashed in to surpass $5 million, for an online career-high $139,183 score. Pulling in nearly 800 PLB points also cemented Salas’ position as the #1-ranked player in Columbia by roughly 2,500 points.